Root canal: don’t let those two words frighten you. 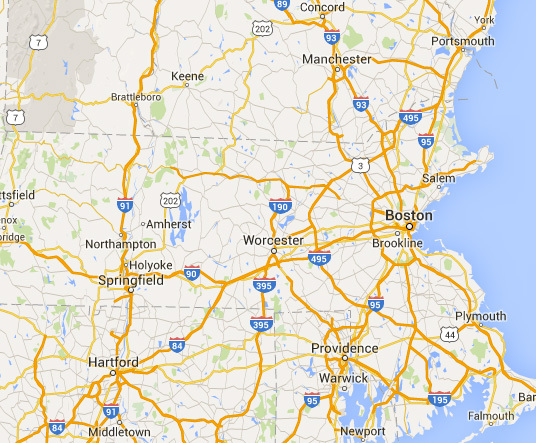 The procedure is much-maligned, but in actuality, it often does not feel any different than having a cavity filled. 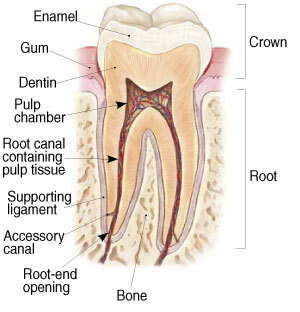 A root canal is considered endodontic treatment—treatment of the inside of the tooth. The inside of your tooth isn’t solid. It’s made of soft tissue called pulp. 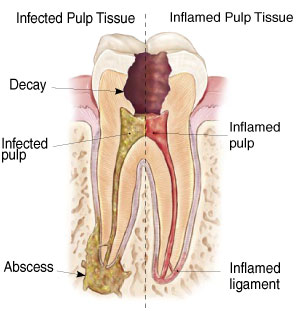 When you have a deep cavity, a cracked tooth or a chipped tooth, the pulp can become infected. It’s also important to remember that sometimes, there are no symptoms. During a root canal, the infected tissue is removed and the dentist fills the root canal with a rubber-like material called “gutta-percha.” A crown is then placed over the tooth to protect it.